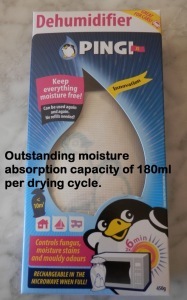 Gun Safe Dehumidifiers in Australia - require no electricity. Gun Safe Dehumidifiers – our PINGI range is outstanding value. You may just have the same problem that they had. Our GUN Safe Dehumidifiers have not only solved their moisture problems but these pleased customers have also recommended our products to others! Guns are expensive and storage is compulsory. Make sure you keep your investment dry and rust free. Dean Safe Co has more information on gun safe moisture problems. Our PINGI XL (450g) Gun Safe Dehumidifiers do an outstanding job when you are not there. Premium Security Safes supply a range of gun safes for the Australian market.